The Amard people, or Amardis (also Amardians, Amui in Pahlavi) were a tribe living along the mountainous region bordering the Caspian Sea. The name is also seen as Amardi, Amardian, Amardae, etc. Amol is a city dating back to the Amard people. Amards lived in the area before the Aryans. Many scholars believe that the city's name is rooted in the word Amard (Amui in Pahlavi). According to historical literature, Amol was the capital of Mazandaran, at least in the period starting from Sassanid Empire to the Ilkhanate dynasty of Mongol Empire. 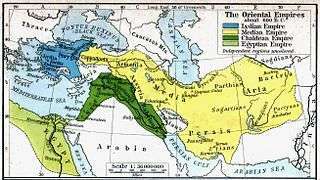 Though they are a Median tribe, Herodotus names a tribe called Mardians as one of the ten to fifteen Persian tribes in Persis. It is now known that the only distinction between the Median Amardians and the Persian Mardians is the "A" in the beginning of Amardians, which would mean they are two different tribes.